High blood pressure adds to your risk of heart disease or cardiac events, and you probably know that you need to keep it at a normal level. If you have been struggling with higher than normal blood pressure, there are some things you can do at home to lower it. Sometimes medication is necessary, but simple lifestyle changes can decrease your dependence on such medications. Many people know that too much salt raises blood pressure. What many people do not consider is all of the sources of sodium other than table salt. Many prepackaged foods have quite a bit of sodium as a preservative. Soda beverages are also very high in sodium, especially if you drink a lot of them each day. It is important to monitor the nutrition and ingredient labels on all foods and beverages to keep your sodium intake at a minimum. 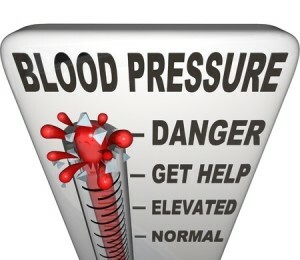 If you are a smoker, your blood pressure is going to be higher than normal. The act of smoking a cigarette temporarily lowers your blood pressure, but smoking over time makes your blood pressure higher on average. Many smokers who quit find themselves having to take less of their blood pressure medication, or being able to eliminate it entirely. Getting enough exercise is another great way to lower your blood pressure. You should be getting at least 30 minutes of exercise 3 to 5 days per week, with a mix of cardio and resistance exercises. Getting plenty of exercise not only lowers your blood pressure, but it also further reduces your risk of heart disease. If you have chronically high blood pressure and lifestyle changes are not lowering it, contact us today for an appointment. We can help you get your blood pressure under control and determine if it is a sign of more serious potential conditions.